“Come fly with me, let’s fly, let’s fly away.” Where can one find a mysteriously brooding red wine with dense, dark fruit swaddled in silky notes of smoke and spice? A trip to the “green heart” of Italy will reveal this rustic beast waiting to be tamed. This land of majestic olive trees, decadent truffles, historic medieval hill towns, dense forests and untouched landscapes can only be Umbria. Within Umbria the beast sleeps peacefully, time and craftsmanship taming its rustic nature till it reveals its beauty inside. Within the center of the “green heart” of Italy lies the pulse, beating slowing and methodically, waiting to be discovered. This pulse is Montefalco and the beast that has been tamed is Sagrantino. 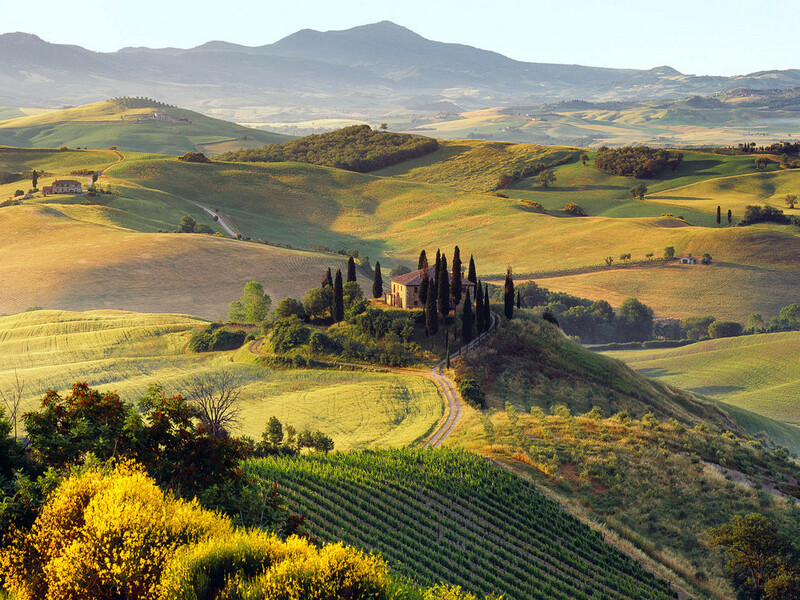 This month’s Italian Food, Wine, Travel takes us to the land of Umbria. Located in central Italy, Umbria is the only region in Italy to not have a coast line or boarder another country. It is bordered by Tuscany to the west, Le Marche to the east, and Lazio to the south. 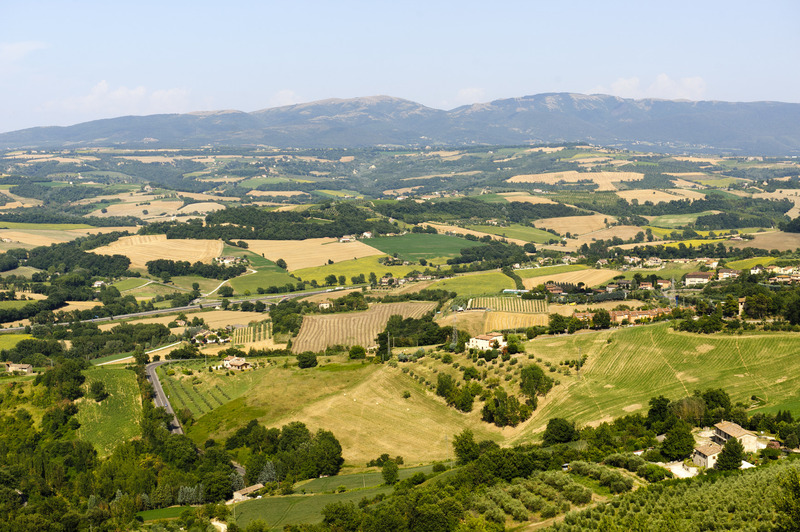 Umbria is a fertile region often overshadowed by its many hills and mountains as well as its western neighbor, Tuscany. Umbria is home to Assisi, Perugia (Montefalco is located here) and Orvieto. Condé Nast Traveler writes, “Long overshadowed by the famous wine regions of neighboring Tuscany, Montefalco’s Sagrantino wine trail is finally stepping into the spotlight.” So what is all the fuss about? 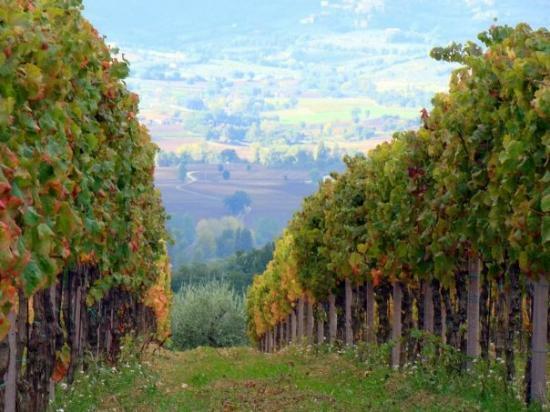 Sagrantino: Though the history of the grape is cloaked in mystery it is believed it found its home in Montefalco for centuries, with recordings of vineyard in Montefalco dating back to the 11thcentury. It creates a wine that is dark and dense, often with colors of deep inky purple and flavor profiles of black cherry and ripe blackberry marmalade with spice notes and deep earthy characteristics. 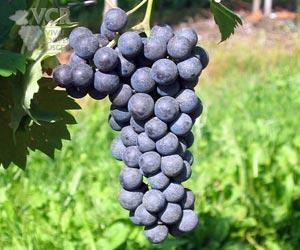 It has incredibly think skin, containing more polyphenols than another other grape. However these think skins lead to high tannins. In fact, Sagrantino is the most tannic wine of central Italy and has an affinity for oak, pleasantly resulting in a wine that ages beautifully. By the late twentieth century the grape varietal was almost extinct. However, a group of Montefalco wine makers experimented with modern techniques to tame the fierce tannins of the beast to create the modern powerful yet elegant Sagrantino. Vineyard plantings of Sagrantino have grown from 250 acres to over 2000 acres with DOCG vineyards increasing five times their original size. Today the Consorzio Tutela Vini Montefalco has strict guidelines controlling the production of the grape. The Montefalco DOCG guidelines stipulate Sagrantino di Montefalco DOCG must be crafted of 100% Sagrantino sourced from the zone around Montefalco, and aged for 37 months with a minimum of 12 months in oak barrels. In addition to Sagrantino di Montefalco DOCG, the region has another classification for Sagrantino blends called Montefalco Rosso DOC. 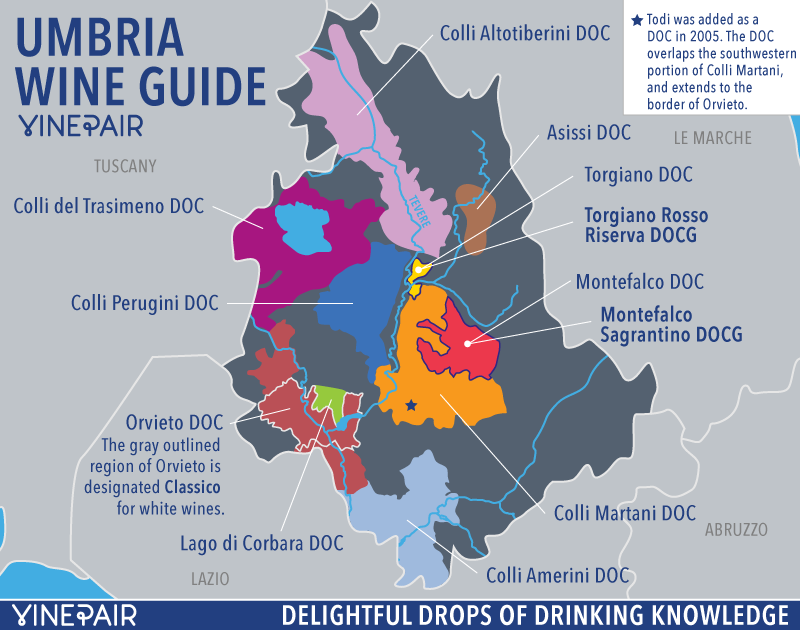 These guidelines are more lenient and include a blending guideline of 60-70% Sangiovese (the most prominent red grape in Montefalco), 10-15% Sagrantino and 15-30% of an additional red grape varietal, with 18 months aging and no oak stipulation. 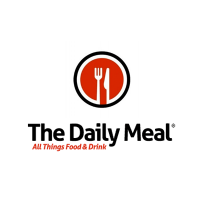 What do all the guidelines of the DOCG and DOC mean to you the consumer? 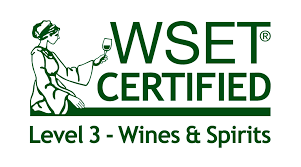 They mean you have purchased excellent wines that have met very high quality standards to insure your pleasure and enjoyment. Three months ago I had yet to have the pleasure of enjoying a Montefalco Sagrantino DOCG. 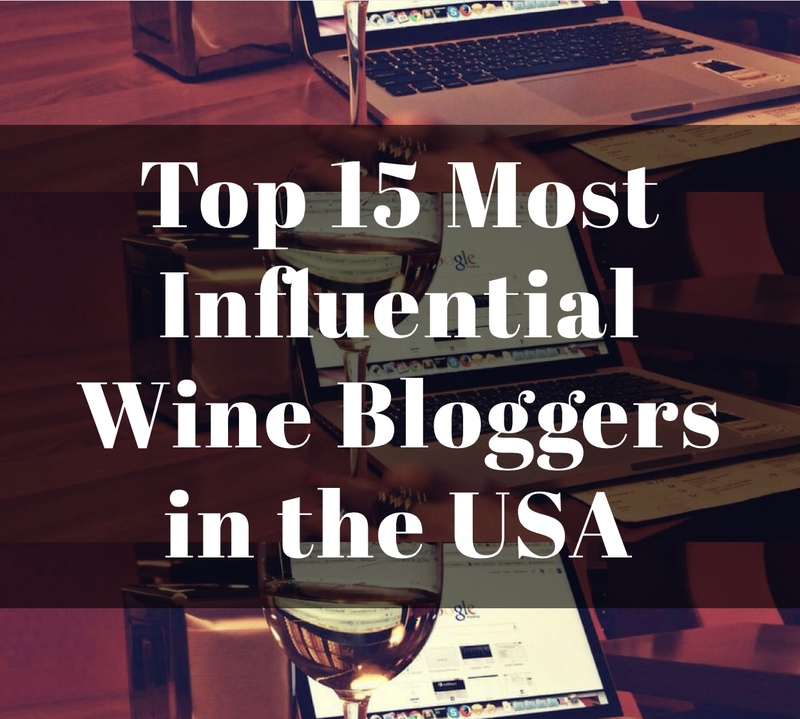 As I write this today I have enjoyed four DOCGs and five DOCs with more arriving any day now for a virtual tasting I am participating in next week featuring six of these outstanding wines. I am a huge fan of Italian wine. I love how many Italian wines capture the rustic nature of the old world while balancing it with rich, round fruit often creating a wine of profound strength delivered with a velvet touch. Sagrantino has quickly moved to the top tier of wines I have enjoyed and one of my favorites among the many Italian wines I adore. 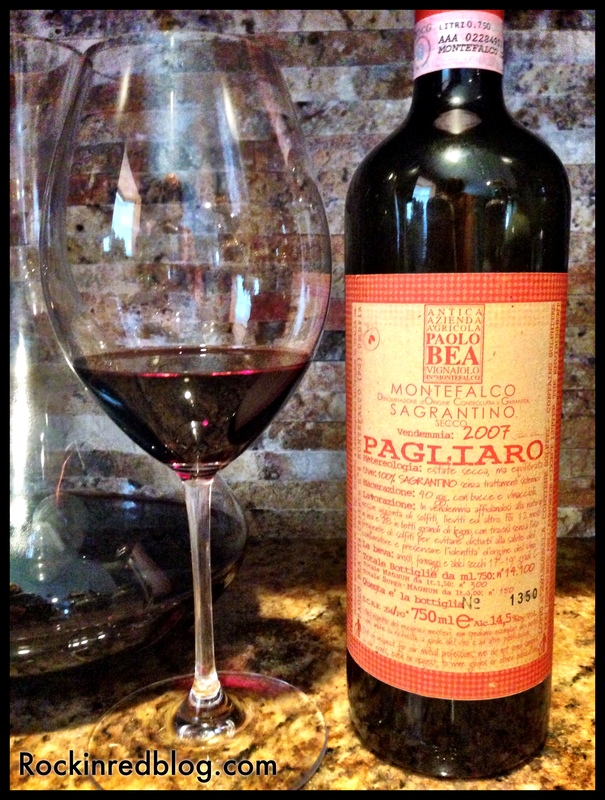 Paolo Bea “Pagliaro” 2007 Montefalco Sagrantino DOCG: This wine poured a rich scarlet with brown rim and exemplified the deeply mysterious, beastly nature of Sagrantino tamed into a captivating beauty for the senses. Black cherries, plums and black raspberries lead the way with a gentle velvet touch, partnered with rich notes of tobacco, damp underbrush, delicate spice, espresso and black licorice. Dense power wrapped in merciful grace. Perfectly structured, rich and round on the palate with mouth coating acidity yet well integrated tannins that hit the back and sides of the palate with just the right velocity; full body, lingering dry finish that leaves the mouth begging for another sip. Powerful and delicious! Knowing that 2007 is still quite young for this wine I decanted it for 2 hours in an elegant Stölzle Lausitz decanter, provided to me as a media sample, before we took our first sip. A wine this big and complex has a lot to offer and it continued to evolve over the course of the evening. Bea has created a Sagrantino harmoniously balanced between the beast within and the beauty it delivered. I wanted to explore the cuisine of Umbria but I wanted the wine to be the star of the experience. 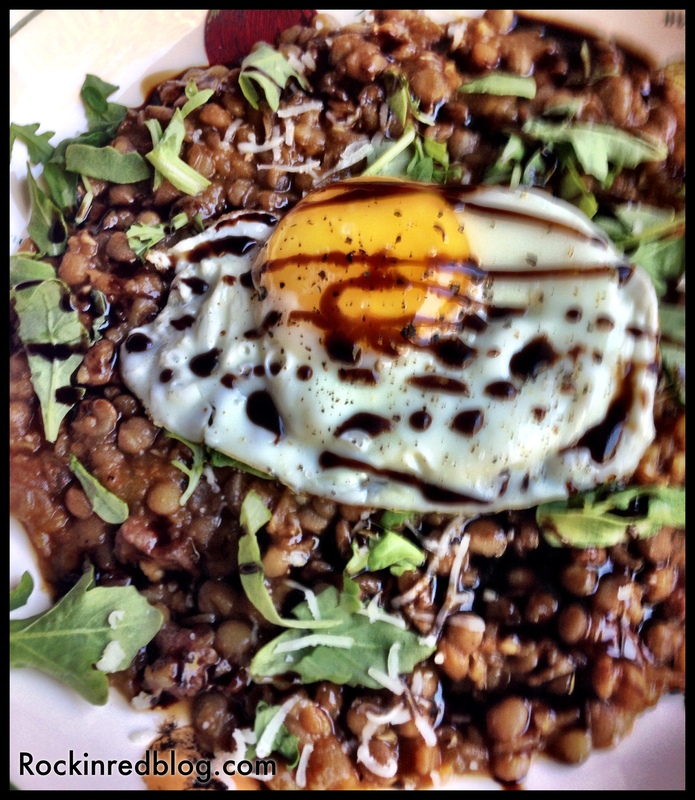 I paired this wine with Umbrian Lentil Stew with Olive-Oil-Fried Eggs from Food and Wine Magazine. The recipe was easy to follow and the results… well, have you ever had a stew with a fried egg on top? Outstanding! As we move into fall I highly recommend this recipe! My husband and 16 year old son loved it! 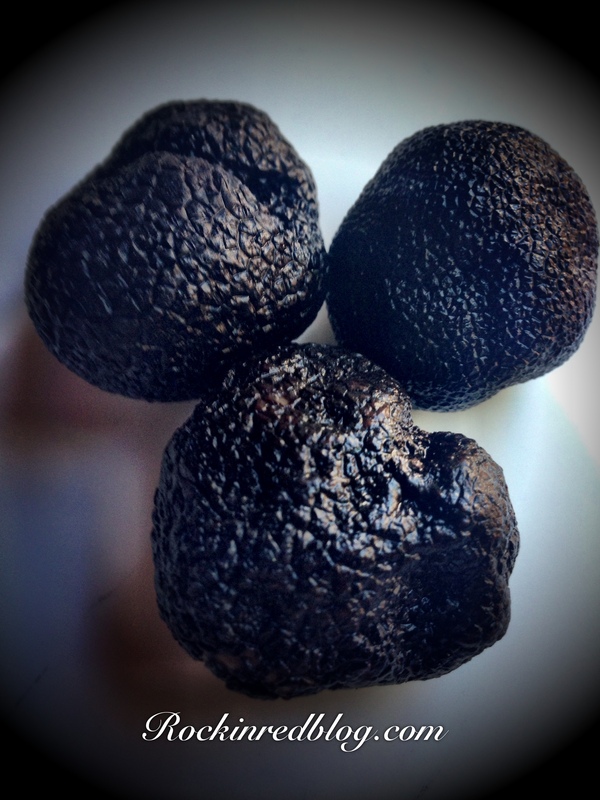 For our secondo course I wanted to highlight one of the many specialties of Umbria: truffles. 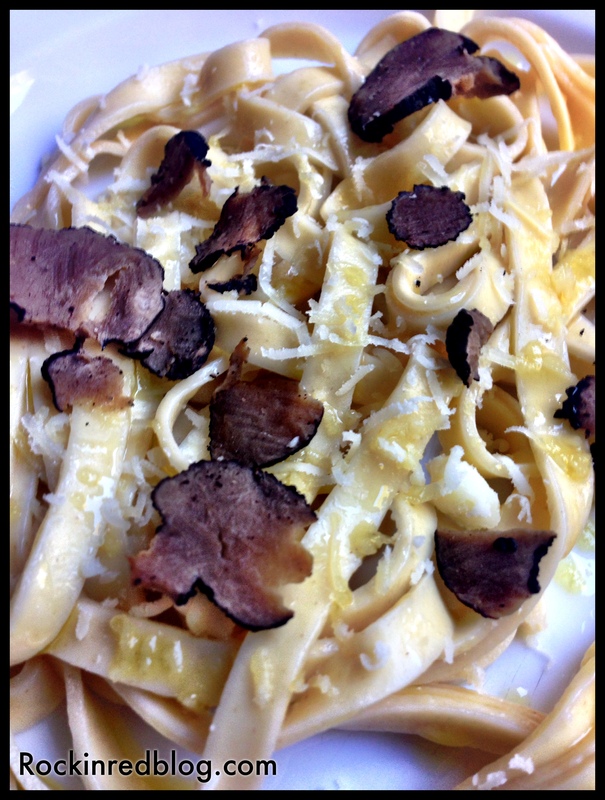 I found some black truffles at Central Market so I bought them and shaved them on top of fresh cooked linguine tossed in Italian EVOO and shaved parmesan cheese from Veneto. It was a simple course allowing the truffles and wine to tango across the palate in perfect rhythm. It was the coolest weekend we had in months so we dine al fresco in our backyard with Frank Sinatra serenading us. 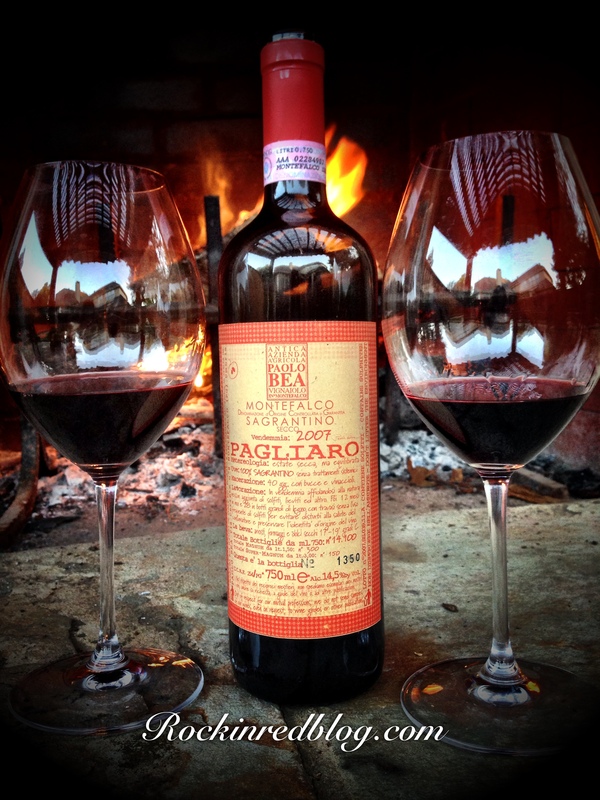 After dinner we relaxed by the fire enjoying the rest of the delicious Bea Paglairo. It was a truly wonderful evening. Paolo Bea is a quintessential artisanal producer steeped in the traditions of the Montefalco, which date back to the early part of the 12th century. He currently remains the guiding force behind the production of his estate, sharing his traditional, noninterventionist approach with his two sons—Giuseppe, who farms the vineyards, and Giampiero, who assists in the vinification. Each bottle provides an indication of the total produced that year, and many feature a slight presence of sediment, demonstrating the wholly natural methods of production. Bea’s approach is firmly rooted not so much in the desire to translate provenance, but in the absolute necessity of articulating Montefalco’s terroir: “Nature should be observed, heard, [and] understood, not dominated.” Thus, his protocol is essentially noninterventionist—a means of realizing a genuine articulation of terroir uncompromised by practices that may insulate the wine from harm but ultimately produce a disingenuous wine. Paradoxically, this approach does not preclude the use of technical developments that lessen the burdens of labor-intensive vinification; rather, Bea is desirous of cultivating a balance between tradition and modernity. The Bea estate—similar to its lead varietal—nurtures a penchant for obscurity. The acreage devoted to wine production totals less than one-third of the estate, despite the fact that additional acres could easily be planted to vine. The family desires to keep production numbers low in order to maintain a very modest profile. Please join us on Twitter at 10am CST to join our #ItalianFWT conversation on Umbria! My Song Selection: As we enjoyed our delightful al fresco evening of Umbrian delight listing to the soothing sounds of big band music my son was telling us how much he likes Frank Sinatra. (strange to hear from a 16 year old). When this song came on my husband gently grabbed my hand and lead me away from the table for a sort of a waltz-ish dance. Great company, great wine, great food, great music, great evening outdoors, what more could a girl want! 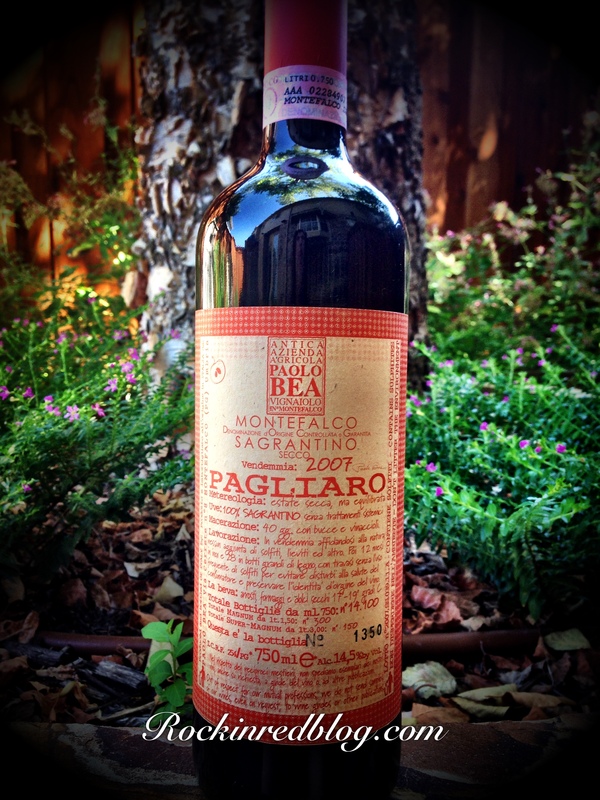 Get your own bottle of Paola Bea “Pagliaro” 2007 Montefalco Sagrantino DOCG and let me know what song you pair with it. Cheers! 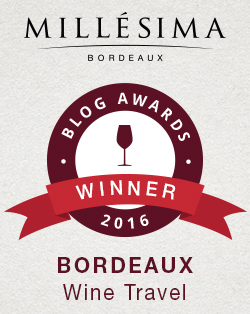 Hi Michelle, so nice you were able to enjoy Paolo Bea’s top wine! I’ve had several of their reds, did you note any oxidation? I found little notes in both the San Valentino and the Rosso de Veo. Not bad at all, just a bit unusual. I was curious if that would extend across the whole range. Hi Jeff. I did not find any oxidation on the Sagrantino Montefalco. I am excited you enjoyed so many of Bea’s wines! I want to try more, especially the orange! Cheers. Michelle, your posts always make me smile – and introduce me to something new! Thank you and cheers. Thank you! What a great compliment. Cheers to you too! Thank you for this amazing history of the wine and the producers. It’s so nice to learn something new through this group. Cheers! You are welcome. Thank you! Glad to have you part of the group. Cheers! Thank you 🙂 cin cin! Sounds like a wonderful evening. I read about a lentil dish as well. I find the egg and truffle combination intriguing that I’ve yet to try. Brava! You make the most wonderful meals to pair with your wines. That stew looks fantastic! And this was a great informative post of the area. I’m quite surprised you don’t spend half the year in Italy! 😉 Cheers! Thank you. The wine was so good it needed a good meal. And yes, the stew was delicious. I will make it again for sure! Wonderful post Michelle. I’m noticing a shift in your writing style, which is inspiring. Sounds like a wonderful evening. I’m going to have to seek out some Paolo Bea! You definitely need to seek out Bea Martin. You will be glad you did! Cheers. 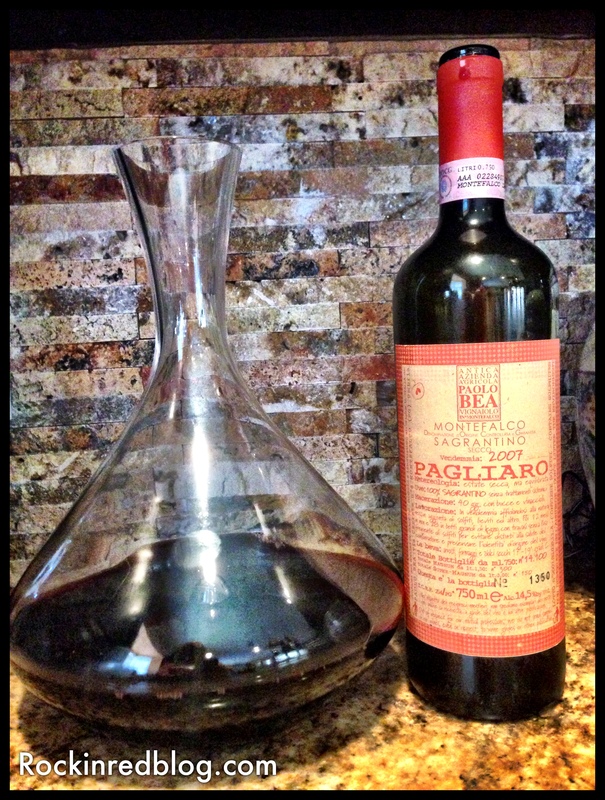 I love Sagrantino di Montefalco – Great tannins and amazing complexity. Have you had the pleasure of trying Sagrantino di Montefalco Passito? Thank you Julian. I have not tried Passito yet. I MUST! Cheers. Passito from Sagrantino grapes tastes most unusual because of the natuarlly high tannins that the grape variety has. The tannins together with the sweetness create an amazing wine experience. Hard to get, at least here in Germany, but so much worth seeking out. I was told winemakers dry the grapes like Amarone to produce Passito. Is it similar to Recioto? Yes, grapes get dried on mats in a process which is called appassimento. During the appassimento process, the grapes lose weight and get concentrated. So the production is similar to Recioto della Valpolicella but the taste is different. Many decades ago, the Sagrantino grape was used only to produce Passito wines. The dry-style was developed later. Informative post! Glad they figured out how to save Sagrantino, I like what I’ve had.